Take command of this incredibly spacious sailing yacht, and the first thing that comes to mind is: "this is what it is all about!" 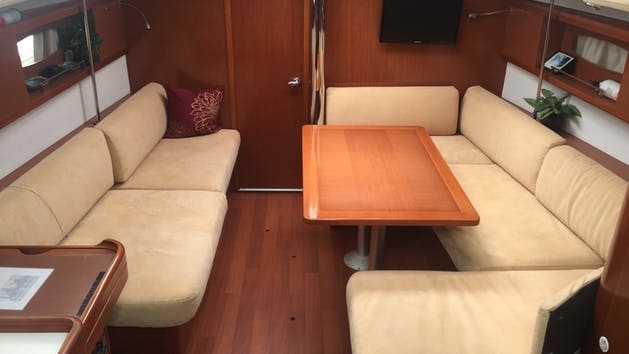 Classic, yet contemporary in its design - the Beneteau 40 sweeps out in front of you with a powerful design integrity that drives through the sheer and progression of the coachroof line. With the collaboration of renowned naval architects Berret/Racoupeau - the design firm Nauta Design along with Beneteau's own team of engineers, the Beneteau 40 expands their "next generation" of elegant yachts. 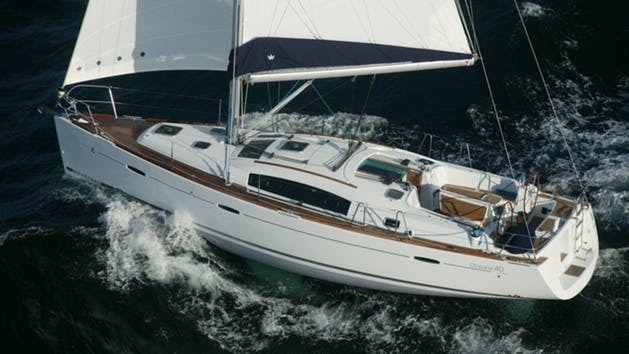 The Beneteau 40 fully enhances the concept of exceptional livability, quality and value. Nauta Design artists have anticipated every comfort – down to the finest detail. The luminous interior of the 40 is highlighted with rich, soft colored Moabi hardwoods punctuated with the contemporary contrast of stainless steel. This diverse design exudes a unique combination of warmth and durability. Topside, this powerful, seaworthy yacht features a huge, twin wheel cockpit. Ruggedly handsome and superbly functional, you’ll find its instrumentation and sail controls within reach for easy handling. Take the wheel, and dominate her helm. Before you know it – you become one with this precise, nimble and responsive master of the wind.